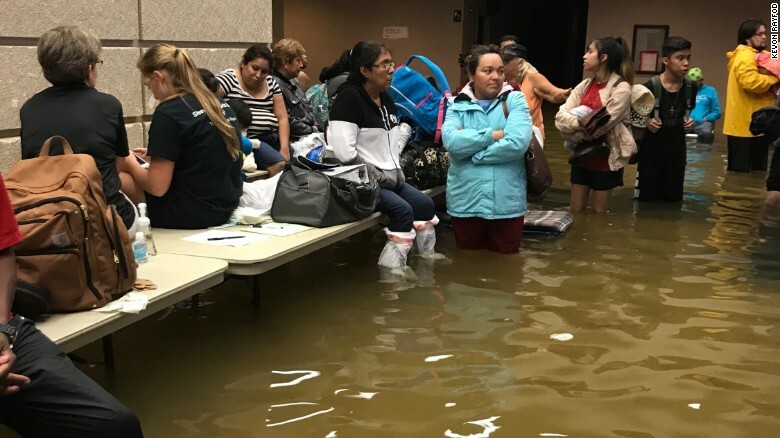 Evacuees at the Bob Bowers Civic Center in Port Arthur are inundated again when the shelter got flooded. “Rescue boats welcome in Port Arthur to assist emergency personnel,”the police department posted on Facebook. The city is asking anyone trapped to hang a white towel, sheet or shirt outside to alert rescuers. 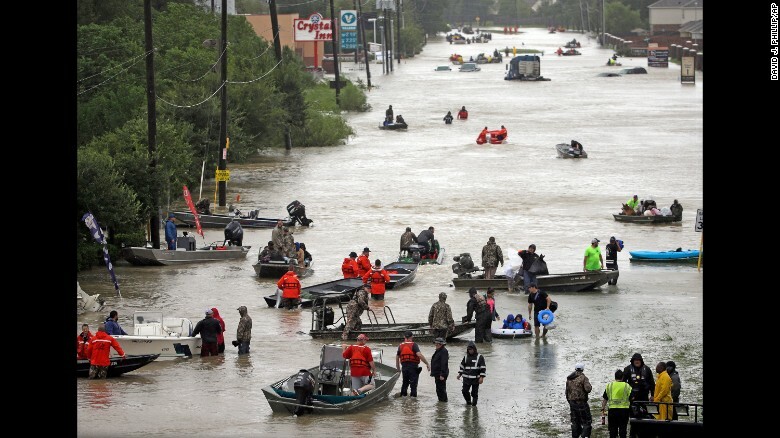 Rescue boats fill Tidwell Road in Houston as they help flood victims evacuate the area on 28th August.